Located near the Illinois River for over 20 years, Custom Marine offers a range of benefits that make us your best choice for marine service, equipment and supplies. Convenience - As a local dealer, we know a lot about the product and about area boating. At Custom Marine, we consider our mission to be building lasting relationships with our clients, our vendors and our employees while successfully serving the recreational community. Our core values have always been based on honesty and integrity. Once a Customer, Always a Friend. Click on the Banner Below for DETAILS! Mercury Engine Service: Click here to schedule service today. Evinrude Outboards: Click here to view the models. 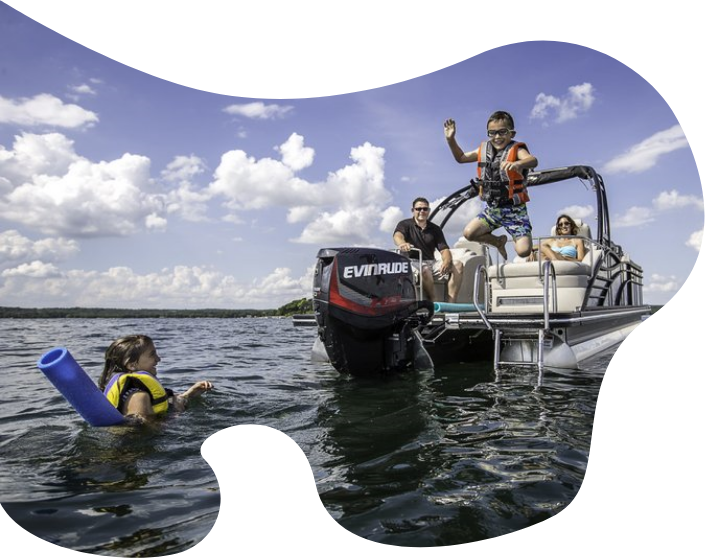 Evinrude Outboard Motors: Click here to view the models.